Gender equality is vital to achieving a sustainable future in agriculture. 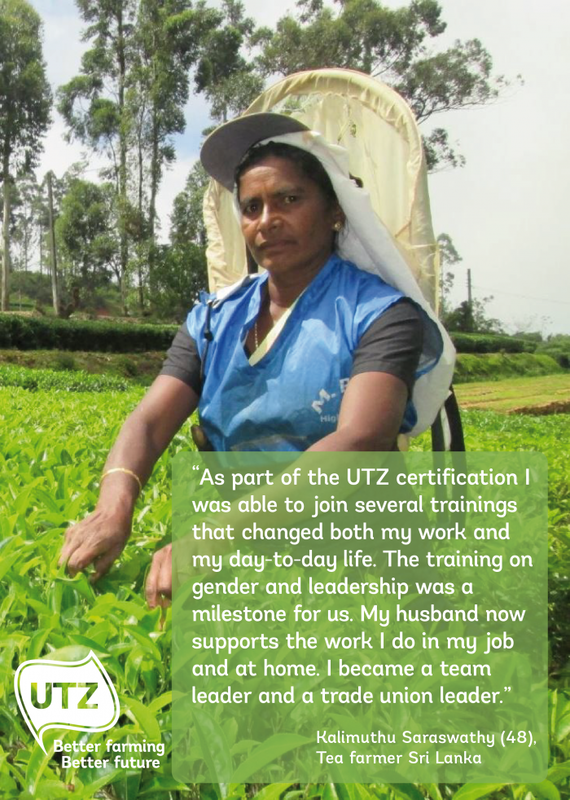 The UTZ program addresses gender equality in two ways: through the UTZ Code of Conduct, and through partnerships and projects at landscape and sector level. Gender expert Joky François explains why gender equality how this works in practice. There are at least 560 million female farmers and farm workers in the world, and women comprise, on average, 43% percent of the agricultural labor force. These women face a unique set of challenges. 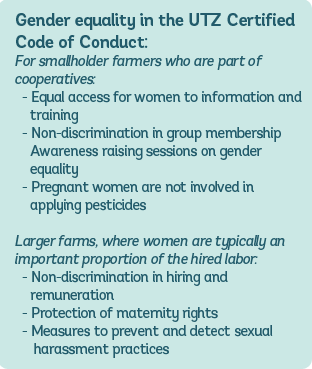 Social norms often imply that female farmers face difficulties accessing land, which in turn affects their access to credit and membership of cooperatives. This makes it difficult for women to participate in training, or have access to information and new innovations. Moreover, women are mainly responsible for taking care of the family and most tasks in the household. This additional burden leaves little time to invest in farming. 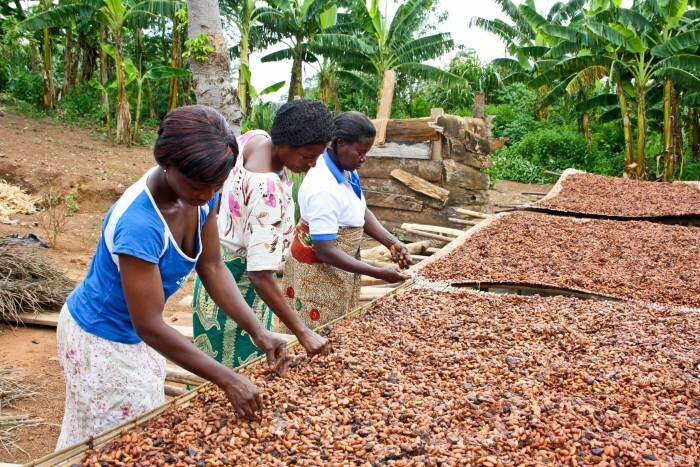 Studies show that if women had access to the same resources, training and information as male farmers, they could produce 20-30% more crops than they do now. In terms of working conditions, requirements in the Code focus on non-discrimination, equal pay for equal jobs, and encouraging disadvantaged groups to actively participate in workers’ and farmers’ organizations. Especially for plantations, there are also additional points on, for example, the right to maternity leave and the right for women to return to their jobs under the same conditions after having children. Want to show your customers that you contribute to addressing gender equality by sourcing UTZ certified products? Download our gender toolkit and use the materials in your communication. In January 2018 UTZ officially merged with the Rainforest Alliance to have a greater impact and be a better partner to the many stakeholders we work with. The new certification program of the merged organization is expected to be published at the end of 2019. 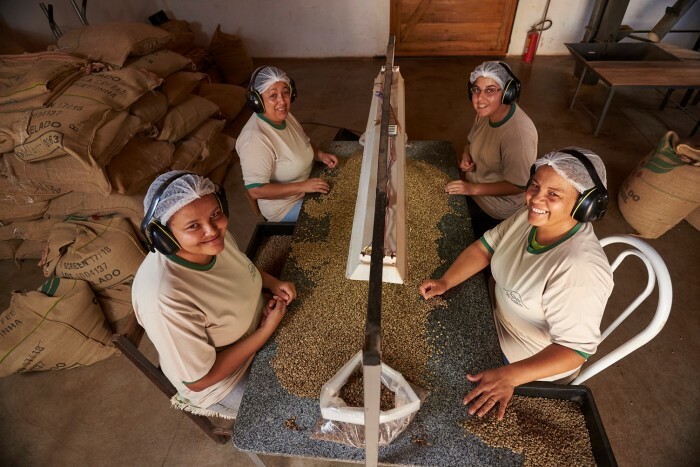 For the new Rainforest Alliance the topic of gender equality remains of key importance and will be an integral part of both the Code of Conduct for farmers and the organization’s work at landscape and sector level.